Last night the fleet of twelve 70 foot yachts, each with a crew of 22, plus a 68 foot training yacht, moored at Queenborough Harbour before starting their Round the World Race off Southend Pier at lunchtime. Being a bank holiday, it poured with rain all day but the atmosphere was full of excitement for the amateur crews. New York has its JFK Airport. 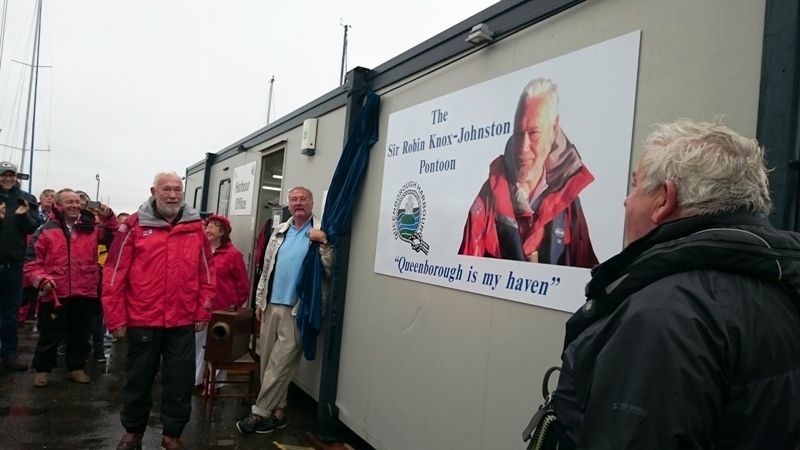 Now Queenborough has the RKJ Pontoon, named this morning in honour of Sir Robin Knox-Johnston who was visiting to see his Clipper Fleet set off on their Round the World Race today. Sir Robin, who is a Patron of Queenborough Harbour Trust, was full of praise for what the Trust has achieved. On the East Coast they say if you don’t go aground you’re not trying hard enough. The crew of this yacht seen in Sharfleet on Saturday evening must have been trying very hard. They did the traditional thing and got out to scrub the bottom while they had the opportunity. 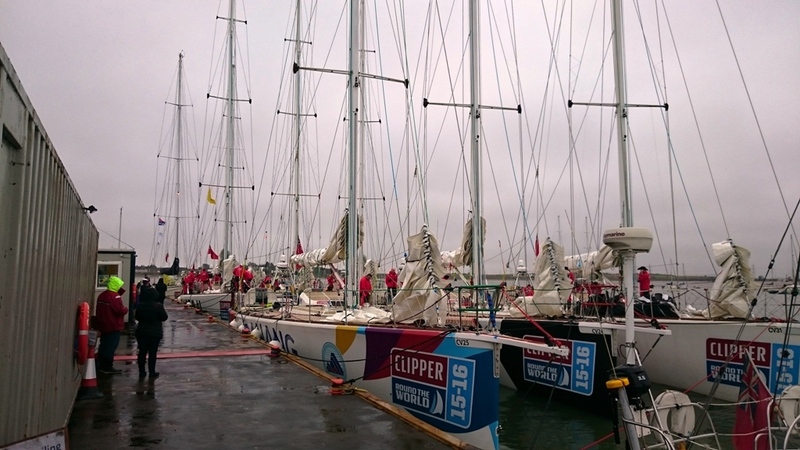 Twelve 70 foot Clipper yachts will arrive on Sunday evening for an overnight stay ahead of the start on Monday for the 2015 Round the World Clipper race. Queenborough Harbour Trust’s patron, Sir Robin Knox-Johnston, will also be arriving Sunday evening. As a result, overnight berthing in the harbour will be severely limited to just the two yellow buoys, each taking 4 boats and any available single buoys. As usual, overnights stays will be on a first come, first served basis. 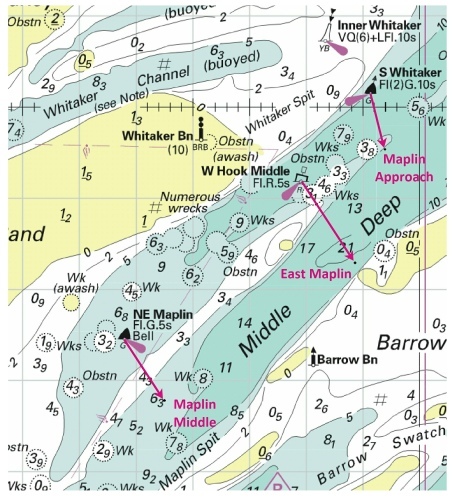 Roger Gaspar’s Crossing the Thames Estuary website points out that if you take the popular route up the East Swin to Essex, via the South Whitaker buoy, there are some major chart corrections to make “following a survey”. On about 14 September, Trinity House will be moving the S Whitaker SHB, West Hook Middle PHB and NE Maplin SHB from the East Swin to Middle Deep where they will be renamed Maplin Approach, East Maplin and Maplin Middle respectively. UPDATE: As the NE Maplin buoy is just inside the firing range, and has been for a very long time, it seems the changes are simply to protect us from getting shot at. However there is nothing to stop us following the old route, which many of us have in our GPSs. A man who had become ill on the tug Kent was rescued by a Coastguard helicopter near the Montgomery wreck on Monday. The veteran 1948 tug was returning from a maritime festival in Ipswich. Also on the scene were the Kent Police RIB and the Sheerness all-weather lifeboat. A pilot cutter also offered assistance. Your webmaster also happened to be passing and watched the drama unfolding from a distance. The casualty was treated on board the tug by a paramedic from the helicopter, then airlifted to Ashford. We understand that, happily, he has now been discharged. 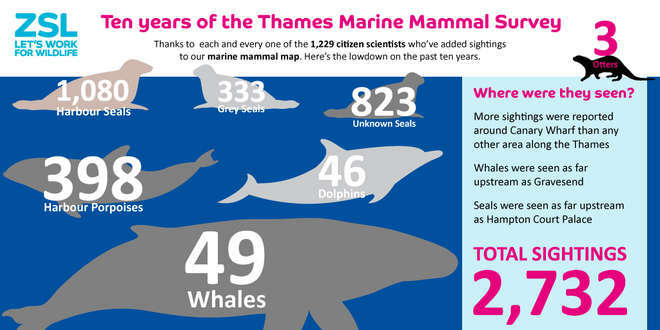 Have you been reporting sightings of marine mammals to ZSL? This report shows there are surprising numbers in the Thames Estuary, which includes the Medway and Swale for these porpoises… If you see a marine mammal please report the sighting. EFCC- HYCC land and all the moorings at Wateringbury. The sailpast will commence from HYCC land at 10.50 at dead slow pace. Passing Roger’s bench at Bow Bridge Marina they will salute and sound horns, proceeding up river past the moorings where they will turn and repeat the salute, then downstream back to HYCC and EFCC land and return to moorings. From 1pm everyone is invited to the Rally Camping field where Sue has laid on some entertainment. A fitting tribute to a much loved and respected gentleman. Please feel free to attend. UPDATE: Locals advise that the van was stopped not at Cuxton Marina but at Trenchman’s Wharf, just a little way upstream, where the tug Pelikaan has sunk (see earlier article). 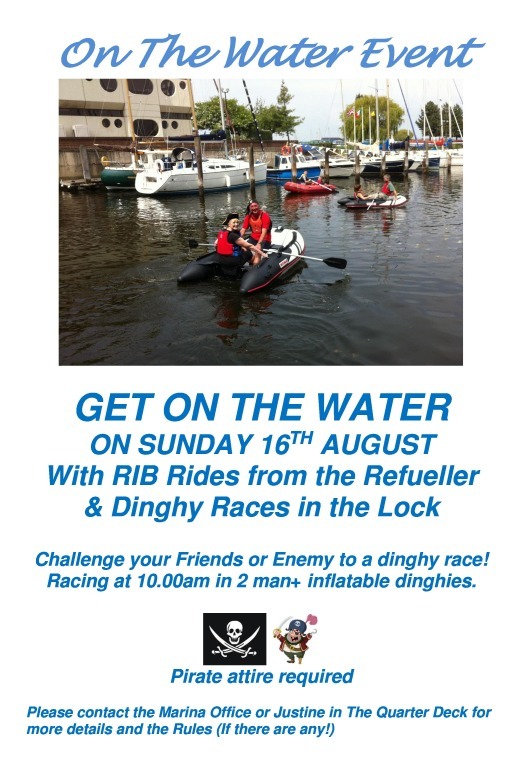 This year’s On the Water Event will see the RIBs from Medway Watersports once again taking to the water showing the public what the sport has to offer and training available.